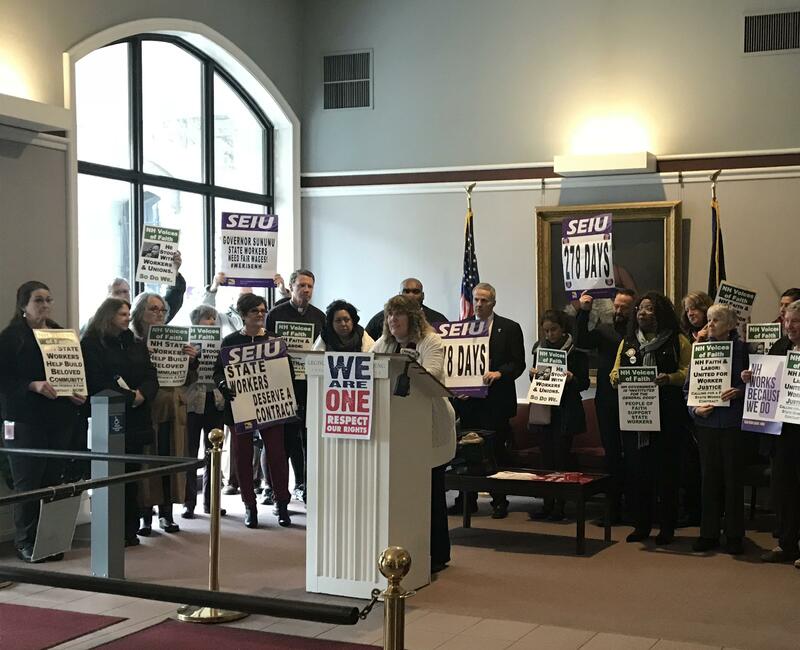 After a “long and arduous journey,” negotiators with the four unions representing public employees have reached tentative contract agreements with the state of New Hampshire. The four public employees unions--the State Employees Association, the New England Police Benevolent Association, the N.H. Troopers Association, and Teamsters Local 633--have been in negotiations since last spring. Employees have been working under the terms of a contract that expired June 30th, the close of the last fiscal year. “After a long and arduous journey we are happy to finally get an agreement with the State of N.H. that shows some respect for the hard work, dedication, and loyalty to the critically needed law enforcement personnel of the State of N.H.,” says Ronald Scaccia with NEPBA. Under the terms announced by Sununu, employees represented by the SEA, NEPBA and Troopers Association will receive a 1.5 percent pay raise this year, and a second raise of 1.5 percent in 2019. State corrections officers represented by the Teamsters will get a 9.1 percent increase starting this summer. According to a press release, employees agree to make certain changes to sick and bonus leave policies that will reduce administrative costs. The contracts will cost an estimated $13.5 million in general funds. All four deals will need to be ratified by union members, and then by the N.H. Legislature. Manchester firefighters will again take to the picket lines next Tuesday, a second show of force in as many weeks. 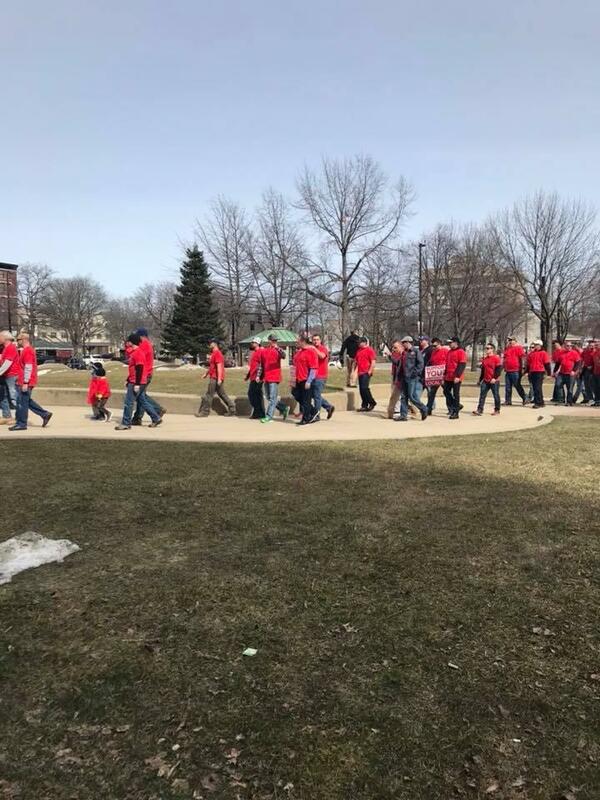 More than 100 members staged what they called an “informational picket” earlier this week in Manchester, according to Manchester Professional Firefighters Association president Jeff Duval. He says they are planning a second picket next Tuesday before a city Board of Aldermen meeting, as contract negotiations between the unions and city continue. The State Employees Association, the largest public sector union in the state, is filing an unfair labor practice complaint against the Governor’s office for what it calls a “refusal” to negotiate.